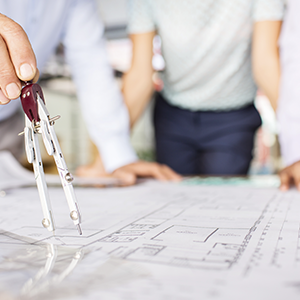 Architectural draftspeople complete architects' and other designers' concepts by preparing documents (drawings or plans) and liaising with builders and contractors. 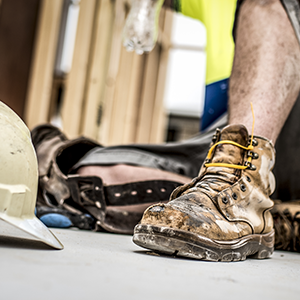 Bricklayers lay bricks, concrete blocks and building blocks in mortar to construct and repair internal and external walls, partitions, arches and other structures. 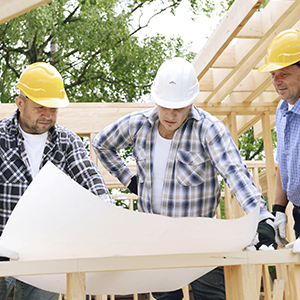 Builders coordinate the construction of dwellings and other structures. Building surveyors advise on, interpret and enforce laws and regulations regarding building construction and safety. 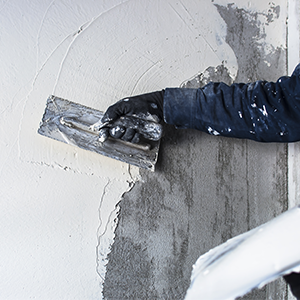 Solid plasterers apply decorative and protective coverings of plaster, cement or similar materials to the interiors and exteriors of buildings. Survey assistants help surveyors measure and analyse the position, shape and elevation of the Earth's natural features (such as hills, valleys and waterways) and to determine land boundaries for housing estates, building sites, reservoirs, roads and drainage systems. Civil engineering technologists assist civil engineers in the research, design, construction and maintenance of civil engineering projects. Typical projects include dwellings, large buildings, railways, roads, bridges, airports, ports and docks, dams and water supply systems.